Over in Pittsburgh, the Steelers (and the Packers) got another harsh lesson about the danger and frustrations of preseason football. 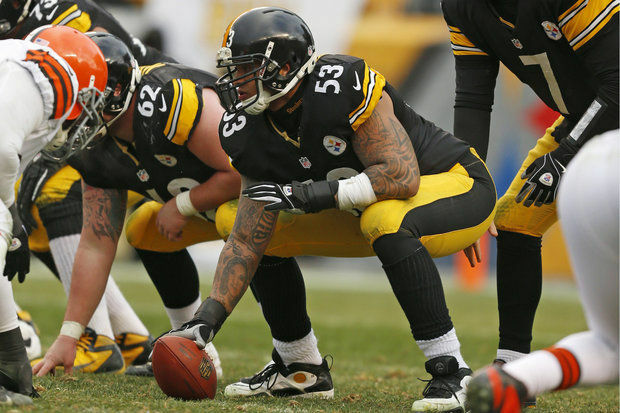 Four-time Pro Bowl center Maurkice Pouncey suffered a broken bone in his ankle in the first quarter of today's game and will be out indefinitely, and surgery is likely coming for the 26-year-old. Pouncey was blocking downfield when Packers cornerback Ha Ha Clinton-Dix wrapped up Le'Veon Bell and rolled up on the back of Puncey's leg. The lineman was able to walk off the field under his own power but required a cart to bring him back to the locker room. That's not the only knock the Steelers suffered on the day, as defensive end Stephon Tuitt also suffered an ankle injury and did not return to the action. Details regarding his status are unknown at the time. With just under three weeks to go until the season opener, the Steelers will be coming into Gillette Stadium shorthanded and banged-up, as they'll be without Pouncey, Bell and possibly without Tuitt. Bell will be serving the first of a two-game suspension for violating the NFL's Substance Abuse Policy stemming from an arrest back in August 2014. Bell, who was with then-Steeler LeGarrette Blount, was charged with DUI and marijuana possession. Blount was handed a one-game suspension himself and will also miss the season opener.